If it is true that "perfect love casts out fear" (1John 4:18), then must it follow that the existence of fear requires the absence of perfect love? What can we say about human beings when they fear? Have they fallen beneath God's love? Does the condition of fear preclude someone from being loved, receiving love and giving love? What we're really asking about here is what this says about me when I am afraid. Fear is about as universal to humanity as breathe. In the ambiguity of life, faced with the uncertainty of time and the fragility of human relations, I am constantly faced with fear. Can love not reach me when I am afraid? Must I conjure my courage in order to find myself in the love of God? Must guilt accompany fear? In 1 John 4:18, directly following the phrase, "perfect love casts out fear," it says that "the one who fears is not made perfect in love." Fear is not compatible with love. When we fear our neighbor, when we are actually afraid of God, and when we fear being with those who are in need of companionship we become incapable of loving them. If love is water then fear is wax. Fear is the rejection of love. But for our concerns about the one who fears it is more important to ask what this passage is saying about love than it is to ask what it says about fear. If our inquiry about fear leads us to hopelessness and insecurity, knowing fear's incompatibility with love, then perhaps an inquiry about love will give us hope and security. If love casts out fear, then it must also be able to penetrate fear. It must be able to pierce through the wax and work to the level of its rejection. If fear involves the absence of love but love casts out fear, then love must meet us paradoxically even in its own absence. In the same way that God in Jesus Christ meets us in our God-forsakenness, love meets us even in our fear. Love does not wait for us to conjure our courage, we cannot fall beneath it, love makes us worthy of love and patiently casts out our fear making us capable again of loving our neighbors and our God. 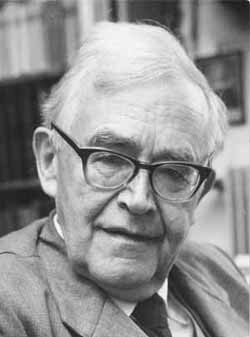 Karl Barth has written that in sin, humankind has fallen where "God who does not and cannot fall has humbled Himself for [humankind] in Jesus Christ." He goes on to write that humankind in sin "exists in the depths where God visits him in Jesus Christ and takes his place with him" (Dogmatics IV.1, 478). Fear, in this way, is a species of sin. In the same way that sin is incompatible with the presence of God-- it is where God "does not and cannot fall"--fear is incompatible with love. So in the same way that God visits humankind in the depths of sin, love meets us in the depths of fear, paradoxically, against its own rules. "Man in his fall cannot cease to be the creature and covenant-partner of God... Man has not fallen lower than the depth to which God humbled himself for him in Jesus Christ" (480-481). Or as the Apostle Paul would say it, "...neither height nor depth, nor anything else in all creation, will be able to separate us from the love of God that is in Christ Jesus our Lord" (Romans 8:39). So now that we have established the power of love and its presence in the face of fear, what can we say of the one who fears? What can be said to us when we are in our deepest fears, when our insecurities seem to rule us? First and foremost, it can be said of us--it must be said of us--that we are loved by God, that the love of God meets us in our fears, comforts us in our insecurity, encourages us in our hopelessness. It must be said of us that, in Jesus Christ, God fears with us, love fears with us. But it must also be said that love casts out fear, that fear does not have the last word. What this ultimately says is not that love cannot exist with us in our fear. Rather, 1 John 4:18 heralds the trajectory of love. Just as Christ entered death with resurrection as his future, so God's love penetrates our fear with fear's end as its future. It meets us when we are incapable of love, but it heralds a reality in which we may love even the in most unfamiliar and frightening situations. The meaning of "perfect love casts out fear" is that love claims us in our fear and refuses to forfeit us to it. It proclaims of us that we can love and receive love, even the love of God.